Say good-bye to vintage, mason jars and rustic and hello to glamour! The romantic style of the 20's will be a hot trend for bridal gowns and beauty. Think retro. Think flapper. Think Great Gatsby. Hallmarks of this look include dropped waist dresses, lace in soft colors of ivory, beaded gowns, fringed chandeliers, and black and white tie dress code. To channel this look through your accessories, try on some long strands of pearl or gold toned jewelry. Instead of a traditional veil you could wear a cloche style headpiece or a beaded headband with art deco details. Gold will be everywhere in 2013. From gowns to accessories to linens! 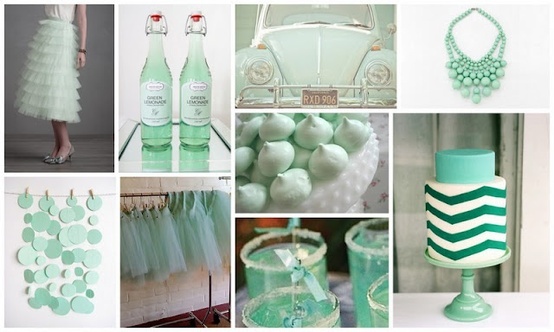 Mint Green is also one of the hottest colours for 2013. You can thank the wildly popular vintage trend for this colour inspiration. This hue compliments many colours particularly creams and golds. Incorporating patterns into wedding day decor is going to be HOT as well! I think we’ll continue to see chevron and stripes used on everything from table runners to bowties. We are also going to start to see more and more gingham, paisley and even polka dots. Picture bridesmaids in striped skirts, and groomsmen with paisley ties. How FUN! 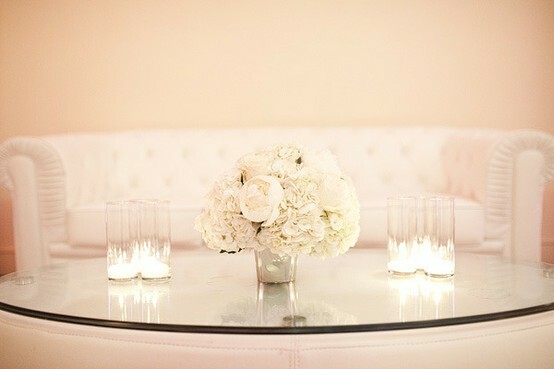 Loung receptions in a variety of different styles are VERY hot this year. This is a GREAT place to add pops of colour or patterns to your wedding. Keep in mind as beautiful as this "trend" might be, it could get costly trying to recreate on your own. Talk to your wedding planner about ways to get creative and keep the look within budget. Hair: Think slick chic and top buns. They both offer a classic style that softly frames the face, and offer a perfect base for a veil. We will also be seeing alot of undone hair in 2013. Live-stream weddings will continue to gain popularity in 2013. If a loved one cannot attend the wedding, you can "broadcast" your wedding and allow front row access to anyone, anywhere! Don'tcha just LOVE technology? Of course like anything trends come and go .. These are just a few that we thought you might consider saying "I do" to if you are looking for something whimsical and fun for your wedding! If you want to follow us for more tips and trends come join the party on Facebook or visit our website at Weddings InStyle.